In a world of limited time and resources few of us have more than a few hours a week to dedicate to the news, even and including the hours leading up to this year’s midterm election. To try to help you-all make it easier to distinguish between the wheat and the chaff I decided to put this together for you, cats and kittens. Before we begin I want you to know I recommend you look at tons of sites - tomorrow I will always have browsers up, however, with three - Real Clear Politics and FiveThirtyEight, to begin with, and of course the Federal Election Commission's website. KEEP A WEATHER EYE OPEN, BY THE BY - I'll be updating this page as more interesting stuff crosses my path. I'm just that sweet. 1. The Basics - Overviews of the institutions, structures, and logic of the Midterm elections in fairly plain language. Getting to go. Daniel Bush and Lisa Desjardins. November 5, 2018. "A quick guide to Election Day." PBS Newshour. Serge Halimi. October 1, 2018. "No Rules for the US Game." Le Monde Diplomatique. "Two out of three US voters are now convinced the system is rigged against the average citizen, a rare point of bipartisan agreement. They have reason to believe this, since both parties are oligarchic. But the tenor of their current, highly personalised confrontation suggests that salvation for the average American is still some way off." Asma Khalid. November 5, 2018. "How To Make Sense Of Exit Polls On Election Night." NPR. Khalid does a great job of breaking down key lines of analysis for the politiphile who can't take her or his eyes off the tube on Tuesday. Mara Liason. November 4, 2018. "Key Questions The 2018 Election Will Answer." NPR. Liason argues there are five - and they're kinda' all over the place. Tamsin McMahon. October 15, 2018. 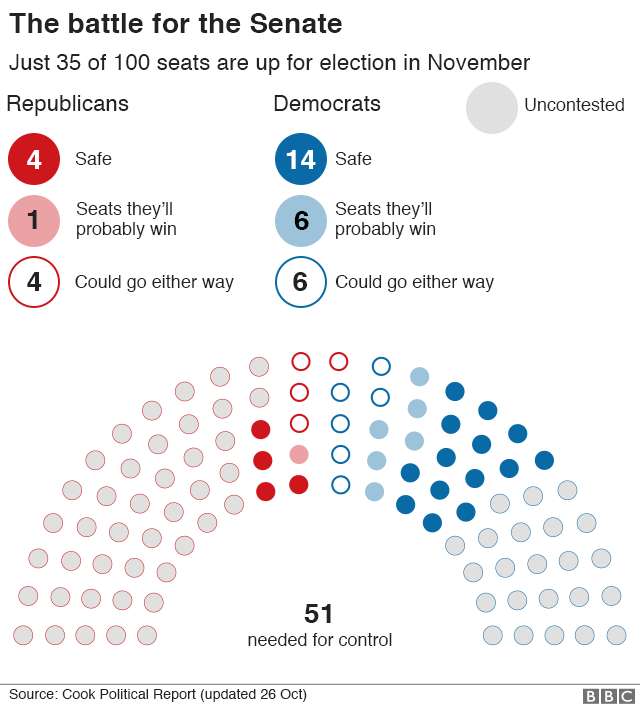 "2018 U.S. midterm election: What could happen, what’s at stake and why do they matter? A guide." The Globe and Mail. A superb overview of the implications of the election and some of the marked changes observable before the voting, in earnest, begins. Domenico Montanaro. November 3, 2018. "Why Every Vote Matters — The Elections Decided By A Single Vote (Or A Little More)." NPR. An overview of close races in American politics, and by close I definitely mean "by a nose"rs. Nathaniel Rakich. November 5, 2018. "How To Watch The Midterms: An Hour-By-Hour Guide." 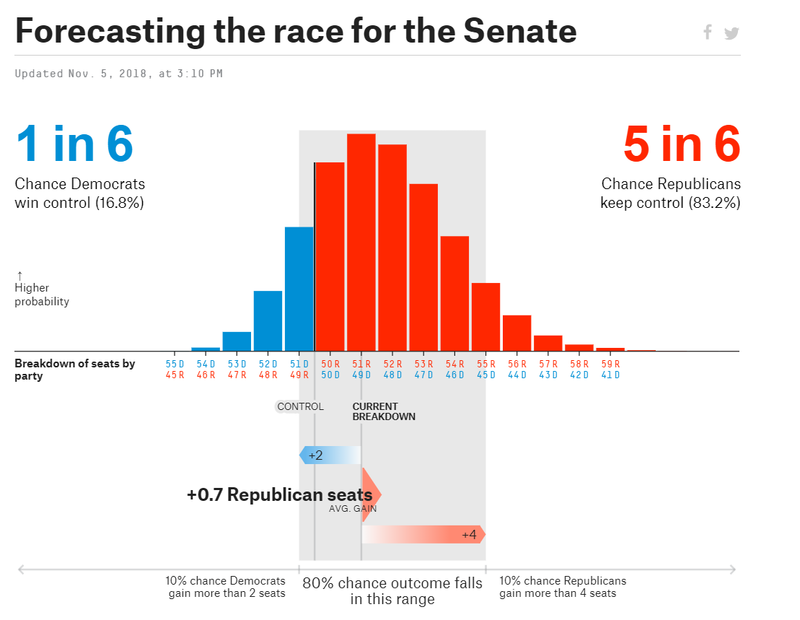 FiveThirtyEight. Chris Riotta. November 1, 2018. "Midterms 2018: Record-breaking early voter turnout nearly doubles from 2014, six days before historic election." The Independent. "The 2014 midterms saw 12,938,596 total votes cast with six days before the elections, compared to 24,024,621 total votes cast by Wednesday." Emily Stewart. November 5, 2018. "2018 midterm elections: what time the polls open and close." Vox. Stewart helps you plan your day. Neat. David Taylor. November 5, 2018. "Will Mitt Romney be a thorn in Trump's side if he wins Utah Senate race?" The Guardian. Meghan Thompson & Jeff Greenfield. November 4, 2018. "Here’s a national landscape of prominent midterm races." PBS Newshour. David Lauter. October 29, 2018. "In a highly partisan era, those who dislike both sides could have the deciding votes." The Los Angeles Times. Carmen Merrifield. November 5, 2018. "How deep is the political divide over Trump? Check out Ohio's midterm 'toss up' district." CBC. CBC does an intensive examination, via interviews, of voters from the 12th District of Ohio. Ella Nilsen. November 5, 2018. "The 16 most interesting House races of 2018." Vox. Dylan Scott. November 5, 2018. "The 10 most important Senate elections, briefly explained." Vox. 3. Candidates - This race has one of the most interesting set of candidates in memory; here are some articles highlighting these folk, as well as their platforms. Gareth Evans. October 16, 2018. "US mid-terms: The most surprising candidates." BBC. A brief overview of some interesting candidates and some commentary by Jennifer Lawless, prof at my Master's institution, UVA in Charlottesville. Astead W. Herndon. August 8, 2018. "Rashida Tlaib, With Primary Win, Is Poised to Become First Muslim Woman in Congress." The New York Times. "Ms. Tlaib is poised to become the first Muslim woman ever elected to Congress, after she narrowly defeated Brenda Jones, Detroit’s City Council president, in a Democratic primary race to succeed longtime Representative John Conyers Jr. in Michigan’s 13th Congressional District." Well-written and interesting as hell. What else do you want from an article? Ola Salem. November 3, 2018. "In age of Trump, black women running for office in higher numbers." Al Jazeera. "But outraged by Trump and inspired by the newly elected judges, more than 70 women of colour, most of them African American, launched their bids for local and federal office this year in Alabama. That number is far higher than in other states." Liam Stack. November 5, 2018. "Facing Threats and Bias, L.G.B.T. Candidates Are Running in Record Numbers." The New York Times. Emily Wendler. November 3, 2018. "The Teacher Walkouts Moved These Educators To Run. Now, They're Facing Off." NPR. 4. The Predictions - Statistics, tarot cards, and Ouija boards welcome. Priscilla Alvarez, Frankie Dintino, and Caitlyn Hampton. October 31, 2018. "These Counties Could Determine Control of the House." The Atlantic. 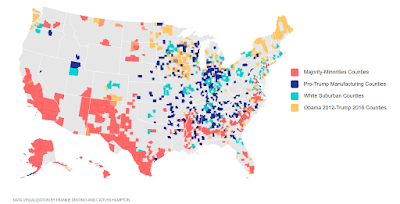 Alvarez, Dintino, and Hampton argue that the race will hinge on four classes, demographically speaking, of counties - majority-minority counties, white suburban counties, pro-Trump manufacturing counties, and Obama/Trump flipping counties." Aaron Blake. November 5, 2018. "Analysis: 5 possible scenarios for Election Day, and what they'd mean." Chicago Tribune. Superb analysis of five scenarios all of which are in the realm of possibility as they all hinge on relatively minor variations from the standard model. Ronald Brownstein. August 16, 2018. "The Women Who Gave Trump the White House Could Tip the Midterms to Democrats." The Atlantic. Gretchen Frazee. November 5, 2018. "What Trump’s declining popularity among wealthier Americans could mean for midterms." PBS Newshour. Francine Kiefer. October 25, 2018. "Control of House May Hinge on 'Panera Moms' in the Suburbs." Christian Science Monitor. Francine Kiefer. November 1, 2018. "In Tennessee Senate Race, a Clear Test of Centrism vs. Ideology." Christian Science Monitor. "In the picturesque town of Franklin in Blackburn’s congressional district, day two of early voting looked like Election Day. Cars searched for spaces in a full parking lot as voters streamed in and out of the municipal office building. More than one person cited Kavanaugh as their motivator." John Ibbitson. November 11, 2018. "The Democratic demographic advantage is real and growing." The Globe and Mail. "African-Americans made up 12 per cent of people who voted in the 2016 presidential election, according to the Roper Center for Public Opinion Research at Cornell University. Eighty-nine per cent of them cast ballots for Hillary Clinton, the Democratic nominee. Latinos constituted 11 per cent of voters, and two-thirds of them supported the Democrats. Two-thirds of Asians, who made up 4 per cent of the vote, also went Democratic. The problem for Democrats is that white voters constituted 70 per cent of the voting population, according to Roper, and they opted for Donald Trump over Hillary Clinton 57 per cent to 37 per cent. Typically, white voters are inclined to trust Republicans to manage the economy, sustain a strong military and control the border, while preferring Democrats when social issues such at health-care are at the fore. But there are signs that the coalition of Republican whites that elected Trump is crumbling. Voters under 44 are more likely to vote Democrat than Republican, and as the baby boomers start to shuffle off their mortal coil, the political power of the Gen Xers and millennials will grow by the year." Annie Lowery. November 2, 2018. "The One Issue That’s Really Driving the Midterm Elections." The Atlantic. 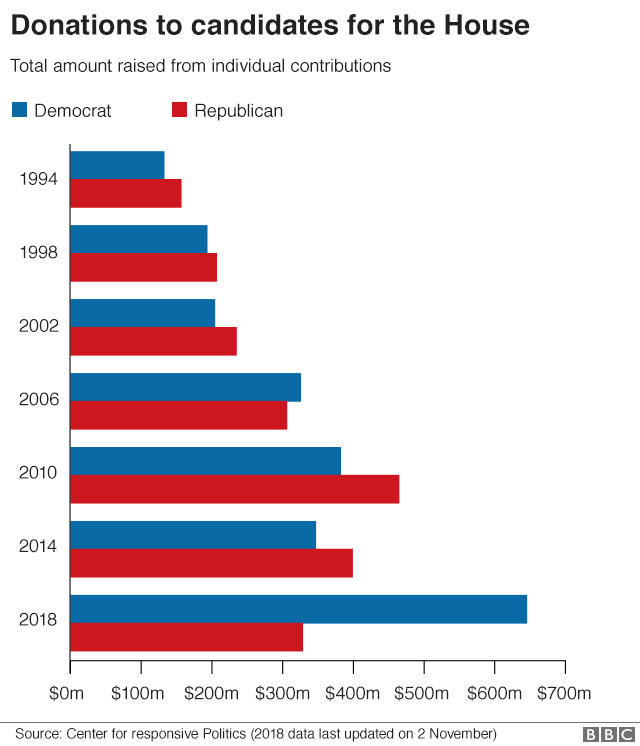 "Here’s an amazing political statistic: In 2016, the Affordable Care Act came up in just 10 percent of pro-Democrat campaign advertisements and 16 percent of pro-Republican ones. This year, it came up in more than half of Democratic ads and nearly a third of those for Republicans." Olivia Paschal and Madeleine Carlisle. October 29, 2018. "Young People Might Actually Turn Out for the Midterms." The Atlantic. Serious shifts in demography and voter participation rates are possible, according to Paschal and Carlisle, supported by - of course - online dating polls. Trust me, it is interesting. Steve Peoples. November 5, 2018. "On eve of Trump-era midterms, 'everything's at stake.'" Christian Science Monitor. "Just five years ago, the Republican National Committee reported that the GOP's very survival depended upon attracting more minorities and women. Those voters have increasingly fled Trump's Republican Party, turned off by his chaotic leadership style and xenophobic rhetoric. Blue-collar men, however, have embraced the unconventional president." Patricia Sabga. November 4, 2018. "The US economy is booming. It may not matter much to voters." Al Jazeera. 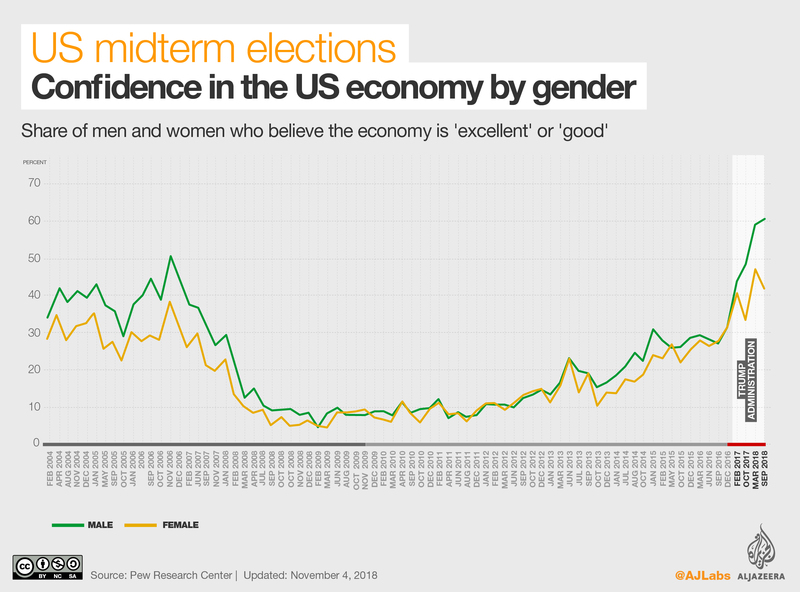 Sabga digs deep into the factors that may be undermining the traditional impact of the economy on this election's outcomes. Nate Silver. November 5, 2018. "Final Election Update: Democrats Aren’t Certain To Take The House, But They’re Pretty Clear Favorites." FiveThirtyEight. Staff. November 5, 2018. "Forecasting the race for the House." FiveThirtyEight. Staff. November 5. 2018. 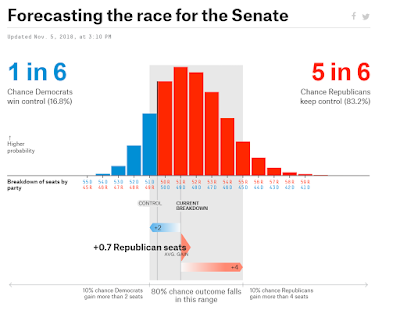 "Forecasting the race for the Senate." FiveThirtyEight. Zurcher focuses on five key indicators - campaign donations, presidential popularity, the generic ballot, the state of the economy, and incumbent retirements. 5. Voter Suppression - There are widespread concerns that several states' citizenries are at risk of serious voter suppression this electoral cycle, with the dispossessed overwhelmingly coming from ethnic and racial minorities. These articles examine these concerns. Ranjani Chakraborty. November 5, 2018. "Why American voter registrations are disappearing." Vox. "According to the Brennan Center for Justice, 23 states have put new barriers to the voting booth in place since 2010, after Republicans gained control of several state legislatures. These include voter ID laws, cutting back on early voting hours, closing down polling places, and voter purges." Scott Neuman and Bill Chappell. November 5, 2018. "Georgia's Kemp Accuses Democrats Of Hacking; Opponent Abrams Labels It A Stunt." NPR. Vann R. Newkirk, II. July 17, 2018. "Voter Suppression Is Warping Democracy." The Atlantic. The Atlantic and the PRRI examine the impact of voter suppression." Adam Serwer. November 5, 2018. "Something’s Happening in Texas." The Atlantic. "Texas’s population is 42 percent non-Hispanic white, or “anglo,” in Texas terms, and 40 percent Latino, but the electorate was 65 percent white in 2016, and only 21 percent Latino. White Texans are substantially more likely to be conservative, and Latinos are more likely to vote Democratic. The Latino population also skews younger, and younger people are less likely to vote. That helps explain the dominance of ultra-conservative Republican lawmakers in the state: Texas’s electorate is far more conservative than its population as a whole. A majority of Texans (54 percent) believe the federal government should ensure that all Americans have health-care coverage, for example, and Texans’ opinions on gun control, on immigration, and abortion, are more moderate than it might seem to outsiders. Texas has a reputation as a blood-red state, but if its electorate looked more like its population, it might be more of a light salmon." Staff. November 3, 2018. "US midterms: How widespread is voter suppression?" Al Jazeera. Sam Wang. October 31, 2018. "The Long-Term Solution to Voter Suppression." The Atlantic. 6. State and Local - The midterm election isn't just a Federal election in most states, but also is the setting for contests for governorships, state legislatures, and a host of referenda - these articles examine the implications and more interesting of these races. Stavros Agorakis and Dylan Scott. November 5, 2018. "The 13 most important governor elections in 2018, briefly explained." Vox. Perry Bacon, Jr. November 5, 2018. "Election Update: Democrats Are Likely To Make Big Gains In Governors Races." FiveThirtyEight. Edward-Isaac Dovere. November 4, 2018. "Year of the Governors." The Atlantic. "But the biggest change if Democrats win these races won’t have to do with governor races at all. The governors elected this year will be the ones in office in 2021 to sign off or veto the district maps drawn after the next census, giving them an opportunity to reverse the enormous structural advantage Republicans gave themselves after their 2010 wave, slicing up blocs of voters so that they have been winning more seats even though Democrats have been winning more votes. 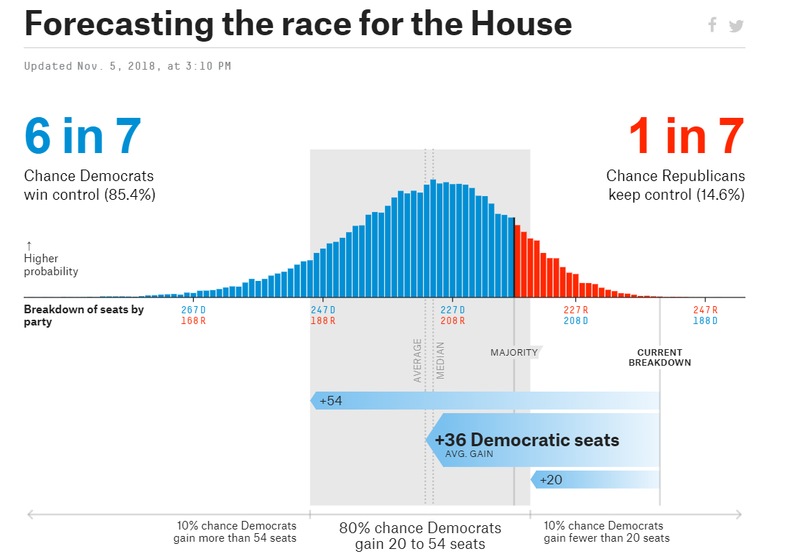 It’s a huge part of why Republicans were able to win 63 seats that year, but Democrats still see even 40 seats on Tuesday as a pipe dream, despite all the Democratic and anti-Trump energy around the country." Asma Khalid and Brakkton Booker. November 3, 2018. "The Republicans Who Could Keep A Hold On Blue States This Year." NPR. A tale of Massachusetts and Maryland. Robinson Meyer. November 5, 2018. "The Ballot Question That Could Transform U.S. 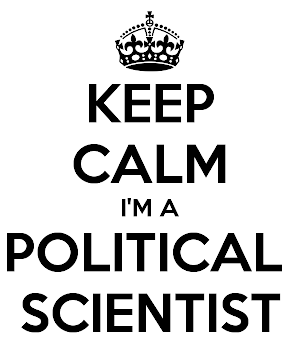 Climate Politics." The Atlantic. Meyer writes about the significance of Washington's Initiative 1631, which would create the nation's first carbon tax if it passes. Clark Mindock. November 5, 2018. "Beyond the House and Senate, more than 7,000 politicians will directly impact Americans' lives - and most have no idea who they are." The Independent. "Ms Eskamani is running for one of over 7,383 state legislative seats in the United States that make decisions on all matters impacting the day-to-day lives of Americans — but are often overlooked during election cycles as bigger names with massive campaign war chests dominate airwaves and television advertising." Nathaniel Rakich. November 3, 2018. "Forget About The Candidates. What Else Is On The Ballot This Week?" FiveThirtyEight. Ola Salem. October 31, 2018. "Will Nevada Elect the US's First Female Majority Legislature?" Al Jazeera. Dylan Scott. November 5, 2018. "The 9 most important state legislature elections in 2018, explained." Vox. Staff. November 2, 2018. "In Governors' Elections This Year, Republicans Have A Lot To Lose." NPR. A host of states get brief overviews in this piece, contributed to by an equally diverse set of reporters. Conrad Wilson. November 1, 2018. "Oregon Voters To Decide Fate Of Sanctuary Law." NPR.